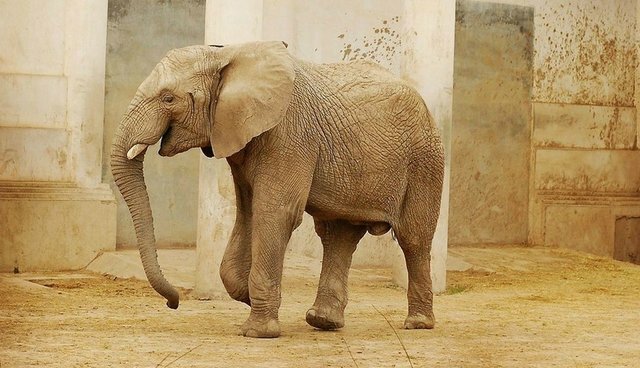 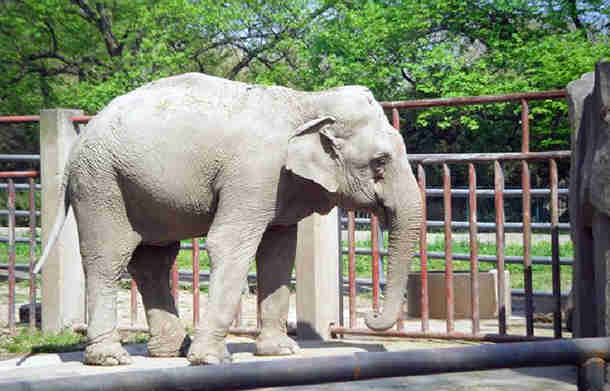 A lone elephant stands on concrete in a zoo. 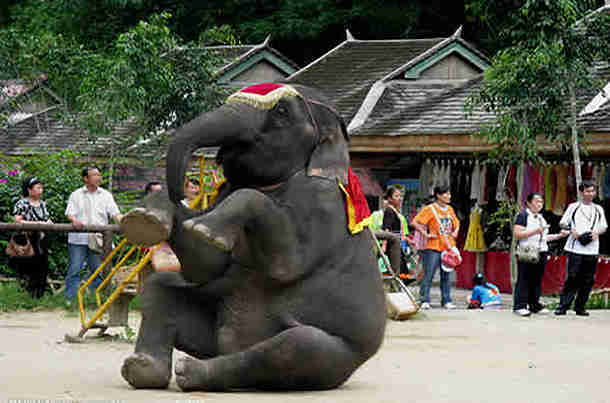 An elephant is made to perform in another zoo. 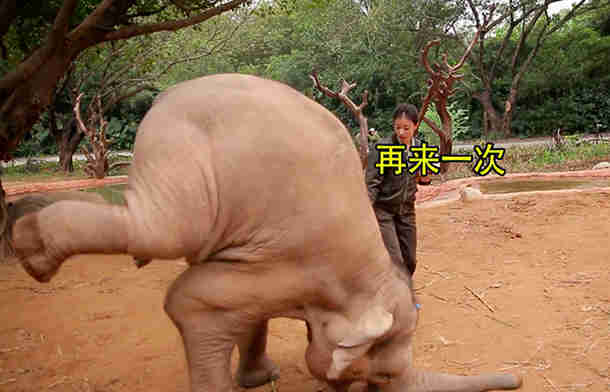 The Chinese characters translate to, "Do It Again!"